The fourth Integrated Marine Biogeochemistry and Ecosystem Research (IMBER) IMBIZO (a Zulu word meaning ‘meeting or gathering’) workshop took place at the Istituto Nazionale di Oceanografia and Geofisica (OGS) in Trieste, Italy, from October 26 to 30th, 2015. The meeting gathered scientists and researchers from all over the world to discuss how we integrate knowledge of marine and human systems, and address multiple scales and stressors. Nereus’s presence at the meeting was led by Director of the Nereus Program (Science) William Cheung‘s keynote presentation that linked physical processes, through ecosystem dynamics, to economic and food security in Eastern Boundary Upwelling systems. William discussed the implications for marine ecosystems, governance and societal adaptation in the context of climate change, and outlined further research needs. Philip Underwood, Senior Nereus Fellow from UNEP-WCMC/University of Cambridge, presents a poster summary of his plans to develop a fisheries model based upon the Madingley General Ecosystem Model at IMBER IMBIZO. Henrik Österblom, Nereus Principle Investigator at Stockholm Resilience Centre, gave a talk and poster presentation on a national case study of the Baltic sea. In it, he presented findings from a study that investigated legislative and policy changes and assessed the national response to these with reference to the ecosystem approach. The results showed that progress has been made, but that more needed to be done to achieve the kind of paradigm shift that may be necessary to effectively manage this particular marine environment. 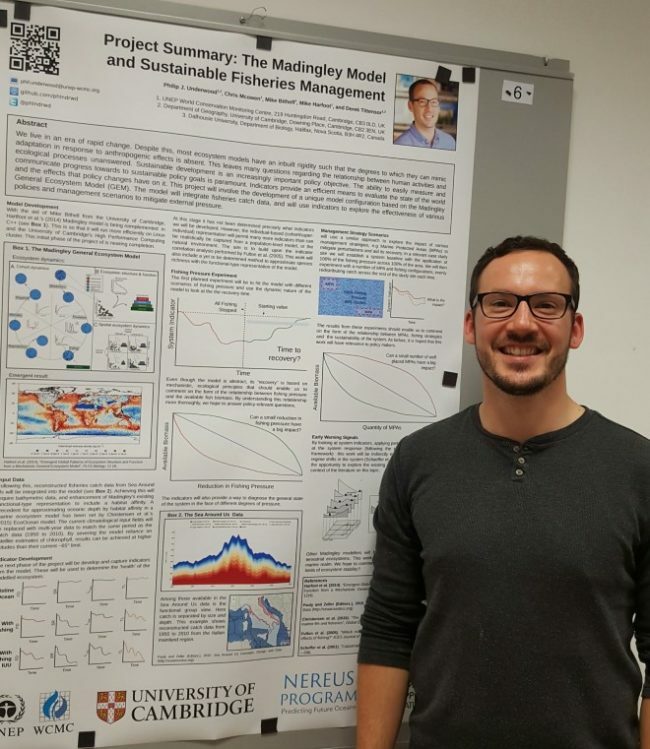 Philip Underwood, Senior Nereus Fellow from UNEP-WCMC/University of Cambridge, presented a poster summary of his plans to develop a fisheries model based upon the Madingley General Ecosystem Model. 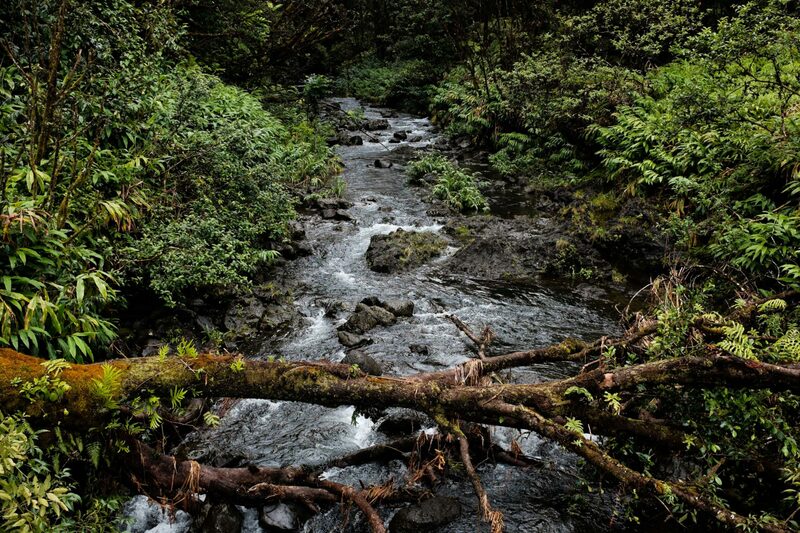 It outlined a number of planned experiments designed to test the stability of the model marine ecosystem and effectiveness of different management scenarios in the face of varying degrees of fishing pressure. The delegates of the meeting subscribed to one of four concurrent workshops. These covered the topics of marine ecosystem-based governance (attended by HÖ), coastal upwelling systems (attended by WC), modelling social-economic systems (attended by PU), and regime shifts. Between the keynote presentations, larger discussion sessions, and plenary report-back sessions, the delegates joined their separate workshop discussions. These were guided by the workshop conveners and senior members of the group. The aim is to publish the outcomes from these discussions in due course.